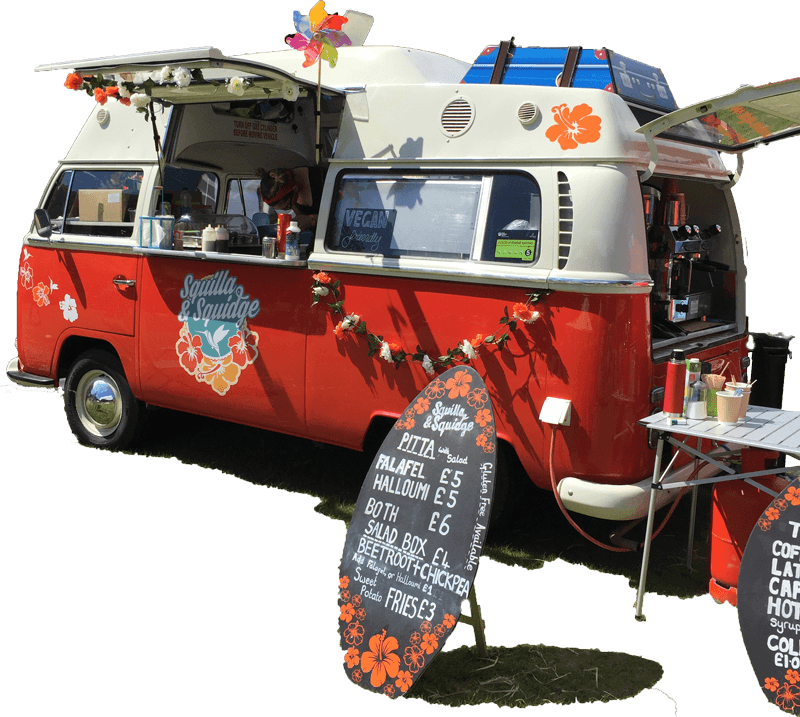 THE CLASSIC VW CAMPER THAT ALSO COOKS GREAT FOOD! Our standard street food menu offers freshly cooked food with intense Middle Eastern & Mediteranean flavours! 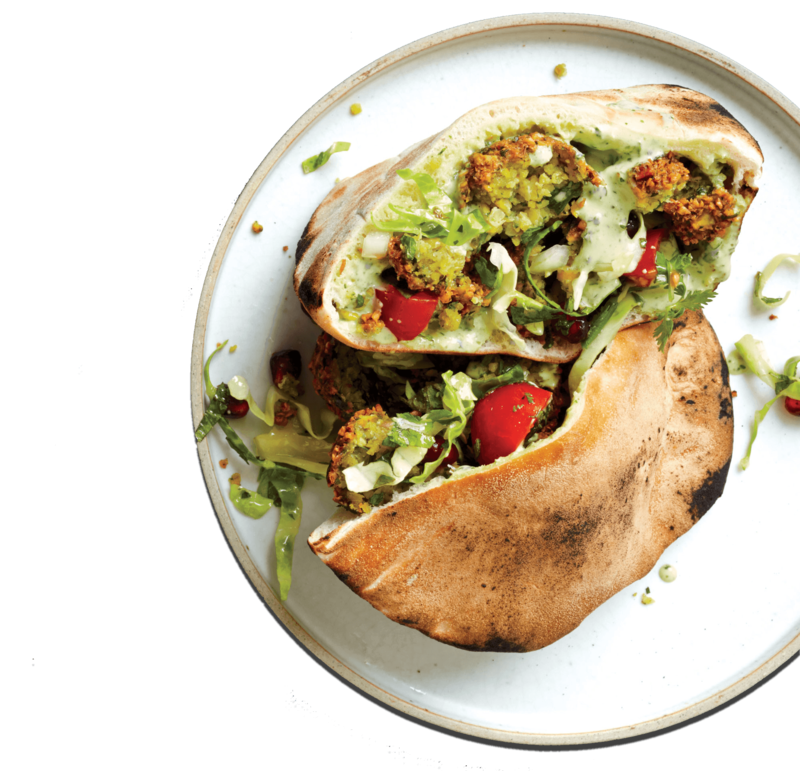 Herby or chilli FALAFEL in a warm soft pita or gluten free wrap with tahina sauce, roasted red pepper salad and Middle Eastern slaw. Griddled HALLOUMI in a warm soft pita or gluten free wrap with tahina sauce, roasted red pepper salad and Middle Eastern slaw. A perfect combination of our delicous falafel & halloumi with your choice of salads from todays selection. Delicious salads from a daily selection including rice and bean salads, with your choice of FALAFEL, HALLOUMI or a bit of both, plus delicious dressings. Of course there are cakes too! Freshly made on our little van with a base of either Yoghurt, Green tea, Fruit juice or Coconut milk. Chia seeds optional! 'Sassy Gracie' is revving to go! !